 fs Astrology is a style of Japanese divination based on a form of Indian divination. Not only will it tell you about your personality, skills, social nature, but is a style of divination that can give you insight into your daily luck as well as compatability in your relationships. When compared with other methods of divination, the readings for personal relationships and combatability in particular, are high in accuracy. This method takes the 27.3 day cycle of the moon and separates it into 27 different “Shuku”, depending upon the position of the moon, which can predict people’s fortune as well as give insight into their characteristics. The calendar is based upon Japan’s old lunar calendar. While Western astrology methods, which focus on the movements of the sun, reveal information about a person on the surface as well as give a general overlook of their luck, JapanAstrology is said to provide a reading that gives a more in depth look inside a person and their emotions. JapanAstrology’s 12 lunar zodiac sign, which are based on the lunar cycle, provide a contrast to western astrology that focuses on 12 zodiac signs based on the solar cycle. ▼ In addition, JapanAstrology’s 27 Shuku are further broken down into four sections according to the cardinal directions: east, west, south and north. Furthermore, these readings are also further sorted by the days of the week, Monday to Sunday, and give a diagnosis of a person’s personality, luck, and compatibility. Japan’s military commander, and daimyo of the Warring States period, Nobunaga Oda, also made use of JapanAstrology during his rule over the country, but because of the accuracy of its predictions, during the Edo period, the Tokugawa shogunate banned use of JapanAstrology. Subsequently, it has been said that the successful unification of the country under the Tokugawa shogunate, and the following 300 year long period of stability, could be attributed to banning of JapanAstrology in public realm and the shogunate’s continued use of it behind closed doors. As a result, during the Warring States period (1493 to 1590), JapanAstrology was at once completely annihilated. Time passed and in the Meiji period (1868 to 1912) there was a change of attitude towards JapanAstrology, and it has continued to the present day. FsStyle japanAstrology does not decide a person’s fate. No matter what kind of luck you are influenced by, or what star you are born under, life is something that each individual must decide what to do with by themselves. Becoming aware of your star’s peculiarities, and special traits, and then using them to their full potential will be beneficial to living your life and will become a source of vitality for you. First, please find out which star is influencing you and then use it for your own self-analysis. In addition to the obvious love and marriage compatibility readings, our site can also be applicable for those in organization management. Furthermore, the astrological readings on our site can be accessed for free. This site is all Astrology Free. Copyright (C) 2019 enfs-astrology All Rights Reserved.